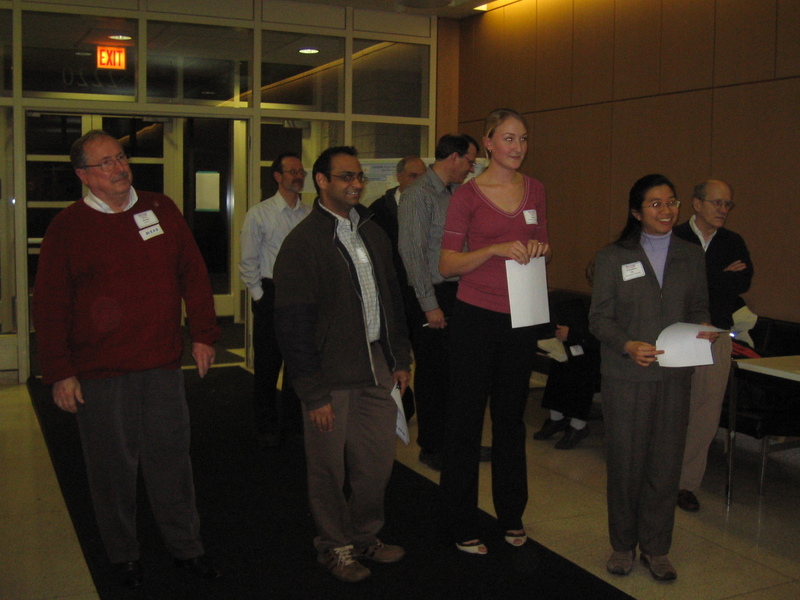 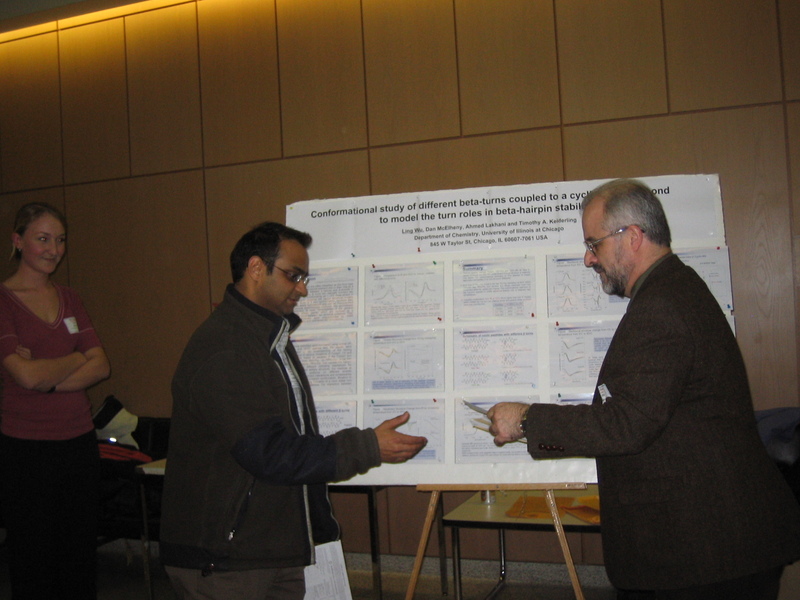 The 2008 SAS-Chicago poster session was held at Cook Hall at Northwestern University. 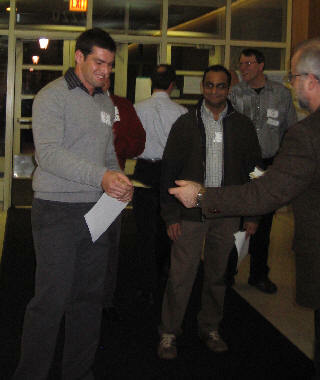 Undergraduates and graduate students participated in the event, with prizes given to the best poster in each group. Undergraduates Ashli Henderson and Nick Swanson students of Professor Jeffrey Jankowski from North Central College presented posters on identification of unknown materials by FT-IR. 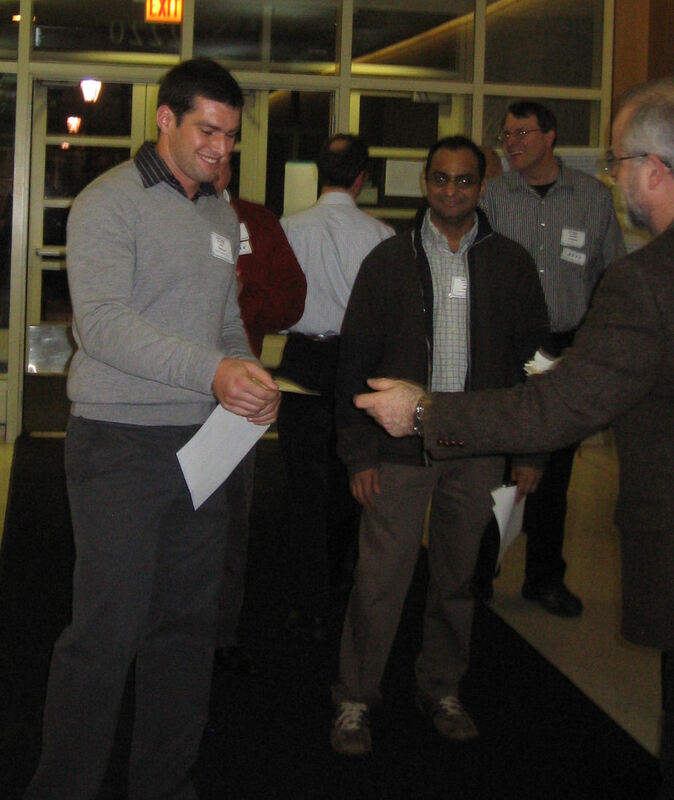 Nick was awarded a prize for his presentation of "Analysis of Glass Haze from Display Cases at the Field Museum of Natural History". 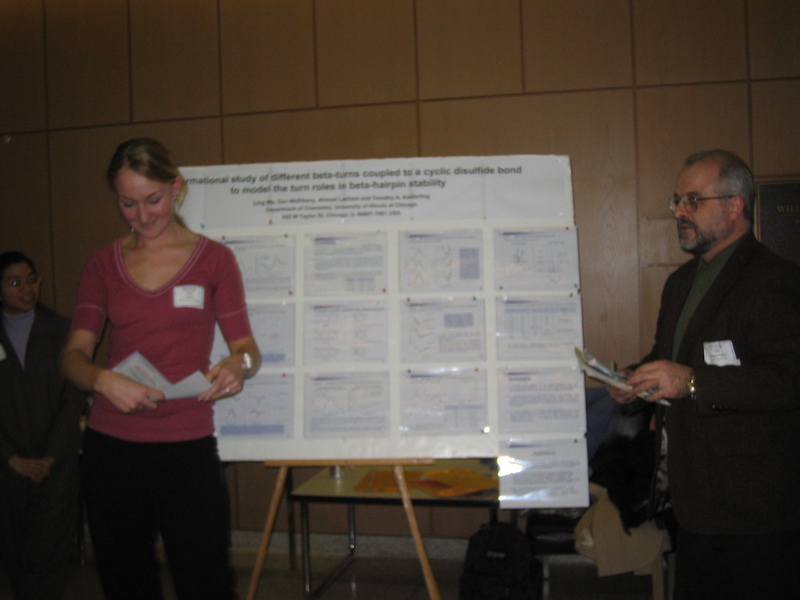 Graduate students Paula Allotta, Dana Sauter, working with Professor Stair of Northwestern University, presented posters on the spectroscopy of iron and coke in zeoloites. 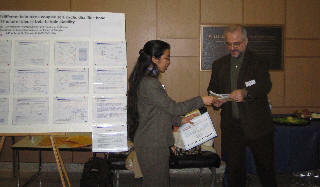 Evangeline Su, also from Dr. Stair's group won a prize for her presentation of "Chemistry of in-situ lubricated contacts." 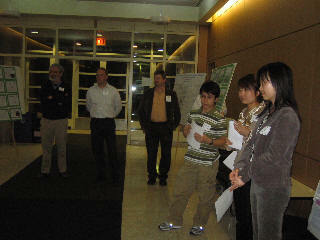 Three students from Professor Keiderling's group at UIC were present. 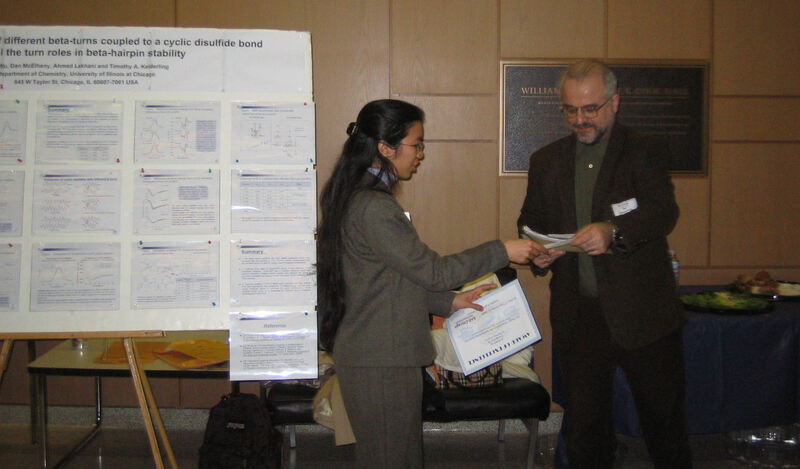 Ling Wu, Ning Ge and Ahmed Lakhani presented their work on the characterization of proteins with FTIR, CD (circular dichroism), VCD (vibrational circular dichroism) and NMR. 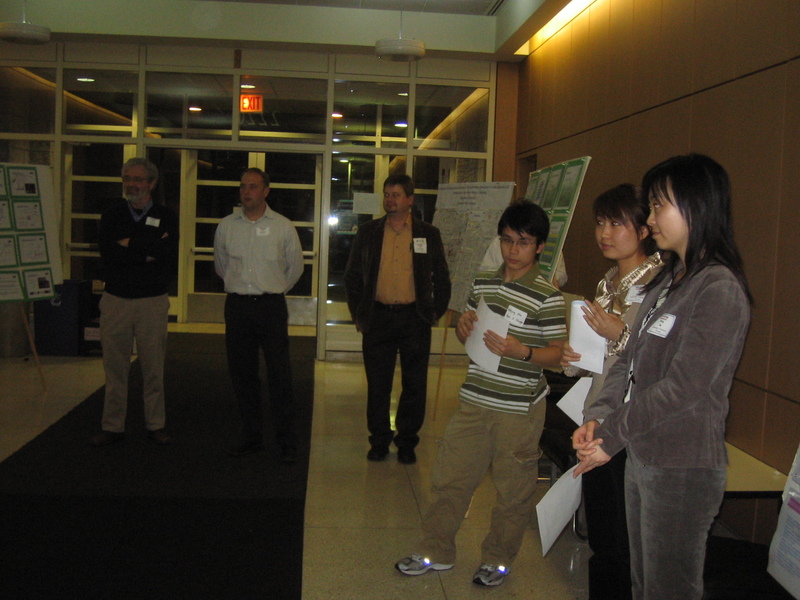 Many of the students presented work that is on a unique application or on the cutting edge of novel spectroscopy.